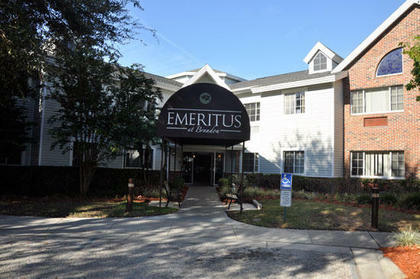 Emeritus at Brandon is a wonderful assisted living community in the heart of Brandon. Our activities and dining program is beloved by our residents and their families. We provide transportation to all scheduled activities and doctors appointments. We know that pets are a part of your family, therefore, we allow pets to live with residents in their private apartments. Our pool and happy hour are popular gathering places ofr our residents.